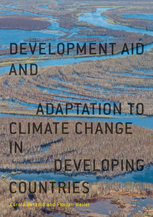 This book examines development aid for climate change adaptation. Increasing amounts of aid are used to help developing countries adapt to climate change. The authors seek to discover how this aid is distributed and what constitutes the patterns of adaptation-aid giving. Does it help vulnerable countries, as donors promise, or does it help donors achieve economic and political gains? Set against the backdrop of international climate change negotiations and the aid allocation literature, Betzold and Weiler’s empirical analysis proceeds in three steps: firstly they assess adaptation aid as reported by the OECD, then statistically examine patterns in adaptation aid allocation, and finally qualitatively investigate adaptation aid in three large climate donors: Germany, Sweden and the United Kingdom. With its mixed-method research design and comprehensive data, this work provides a unique, state-of-the-art analysis of adaptation aid as a new stream of development aid.